Berhaneyesus Demerew Souraphiel (center) at St. John Baptist de La Salle School. Two of the newly appointed cardinals have Lasallian connections. On Sunday, January 4, 2015, Pope Francis announced 20 new cardinals for the next consistory, a list that includes Archbishop Berhaneyesus Demerew Souraphiel, C.M., of Addis Ababa (Ethiopia) and Archbishop Charles Maung Bo, S.D.B., of Yangon (Myanmar). Archbishop Berhaneyesus Demerew Souraphiel, C.M., current archbishop of Addis Ababa, the primate of the Ethiopian Catholic Church, and the president of the Episcopal Conference of Ethiopia and Eritrea, is a former student of Bisrate Gabriel School in Dire Dawa (Ethiopia), a school that twins with schools in the Lasallian Region of North America. 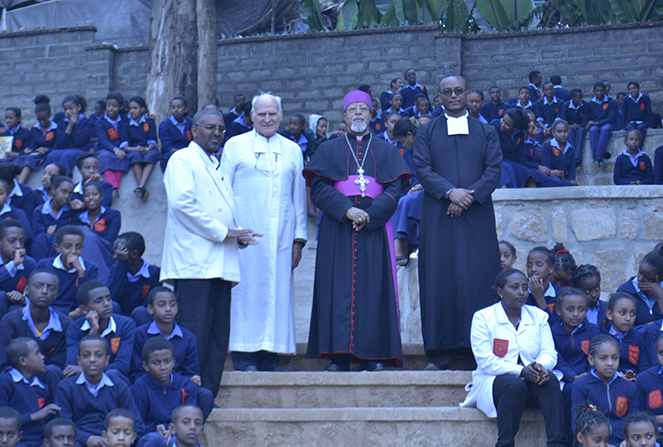 Berhaneyesus Demerew Souraphiel (center) at St. Joseph School. He continues to have a close relationship with the Brothers of the Christian Schools. Recently, he took part in events honoring students at St. John Baptist de La Salle School and St. Joseph School in Addis Ababa. 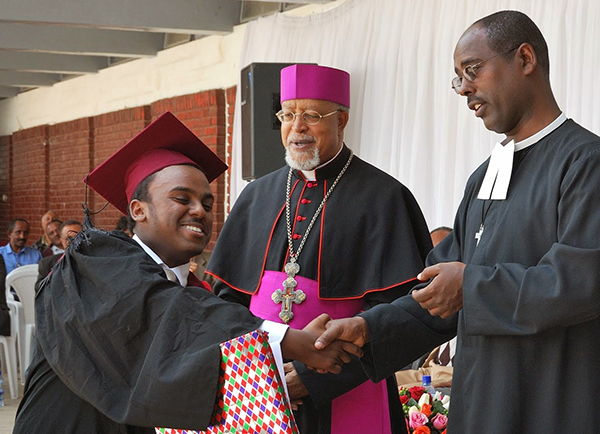 He has also presided at the inauguration of Lasallian schools, anniversary celebrations of several Ethiopian Lasallian institutions, and at celebrations of the perpetual profession of various Brothers. 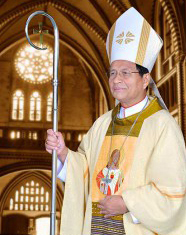 Charles Maung Bo, courtesy Archdiocese of Yangon. Pope Francis also appointed Archbishop Charles Maung Bo, S.D.B., of Yangon, who was a participant in Sangre de Cristo’s 75th Session in Fall 1999 and will be the first cardinal to ever be appointed in his country. Over the years, Bo has served in various religious roles in Myanmar, including bishop of the Diocese of Lashio and bishop of the Diocese of Pathein. He also served as apostolic administrator of the Diocese of Lashio and Archdiocese of Mandalay before being nominated to his current role as archbishop. The 20 new cardinals are from 18 countries, including two others that have not had a cardinal before: Cape Verde and Tonga. All cardinals will officially begin February 14, 2015, after a special ceremony at the Vatican. Charles Maung Bo (first row, far left) with Sangre de Cristo 75th Session in Fall 1999.